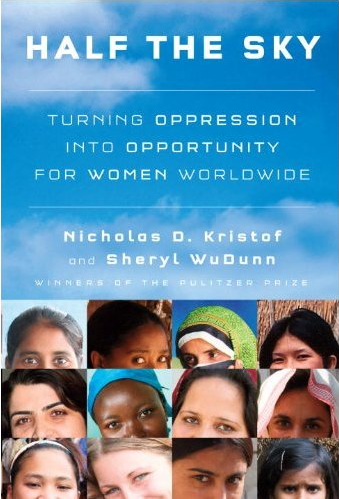 Nicholas Kristof, two time Pulitzer Prize winner and Op-Ed journalist for The New York Times, recently published a book highlighting the inconsistencies in gender based progress in the developing world. "Half the Sky" focuses on various issues that have affected women throughout the world in unique and often disastrous ways. Health, education, abortion rights and human trafficking are among the numerous topics discussed in Kristof's latest book. For several years, Kristof has been a relentless voice in raising awareness about human trafficking related issues, and his New York Times series on child trafficking gained international recognition. He first encountered human trafficking while on assignment in Cambodia and was "blown away" by what he saw. His research was intended to expose the not-so-secret child trafficking rings in Southeast Asia. But Kristoff was not prepared for the stories he would hear. Shortly after beginning his assignment, he read about two young women, chained to bedposts, who were killed when the brothel where they were enslaved burned down. 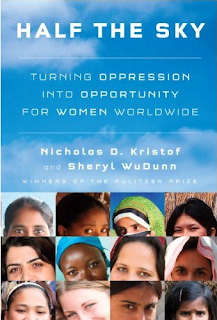 Time after time, Kristof head the stories of women being bought and sold like livestock. Their virginity sold to the highest bidder; their futures stolen without hesitation. Kristof said that like most people who get involved in the anti-trafficking field, it took a personal experience like meeting the young girls and hearing their stories for him to truly understand the atrocity that is human trafficking. "When you see things like that, it's hard to move on," he confessed. Since this time, Kristof has spent a substantial amount of time writing, reading, researching and collecting stories about the issue. He believes that human trafficking is not black and white. "Trafficking is evil, but it's not being driven by evil but by a pursuit of money. We need to make it less profitable and more dangerous for perpetrators." For example, while in Southeast Asia, Kristof encountered a woman who has ventured to make a larger profit for her brothel by kidnapping young girls and selling their virginity. However, international organizations has recently put pressure on the local police to crack down on illegal trafficking activity. The potential cost of being found out and shut down was too great, ands she decided she could make better money by running a grocery store instead of a brothel. As the dynamics of her business environment changed, it simply became too costly to continue the illegal activity. Kristof firmly believes that with real pressure and punishment by local authorities, the whole industry could become less and less profitable which would make it less and less enticing for traffickers, pimps and brothel owners. "Half the Sky" is a well-written, hopeful book that gives an overview of the major issues that plague women in developing countries. It does not go into much depth about any subject specifically, but it does offer a quick, educational read surveying these challenges and some of the more hopeful stories of triumph and progress. Also, the back of the book lists hundreds of women's and human rights organizations from grassroots to United Nation programs. For more information about "Half the Sky" and the campaign to push for greater equality for women across the world, visit Half the Sky Movement. Kristof continues to write articles about women's issues for The New York Times. You can find his articles here LINK. I would like to thank Mr. Kristof for agreeing to an interview during a very busy weekend in Oklahoma. Is Sucker Punch About Human Trafficking?